As a company, Chor Bazaar, has gone through pain staking research to find the best quality in t-shirts. We could use companies like CafePress, VistaPrint, PrintFections, or any other company that will slap your design on a shirt and hand you tiny royalties for something that is very impersonal, but we choose to have control over our production. These companies utilize generic cotton t-shirts that would fetch 5 bucks on Canal Street in NYC. We use companies like Alternative Apparel, American Apparel, and Anvil. We are big on the ring spun 100% cotton shirts that feel butter soft and comfortable. The shirts alone retail for close to what we market them. Screenprinting has its origins in simple stencilling, most notably of the Japanese form (katazome), used who cut banana leaves and inserted ink through the design holes on textiles, mostly for clothing. This was taken up in France. 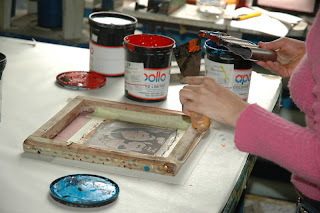 The modern screenprinting process originated from patents taken out by Samuel Simon in 1907 in England. This idea was then adopted in San Francisco, California, by John Pilsworth in 1914 who used screenprinting to form multicolor prints in a subtractive mode, differing from screenprinting as it is done today. Screenprinting took off during the First World War as an industrial process for printing flags and banners. The use of photographic stencils at this time made the process more versatile and encouraged widespread use. 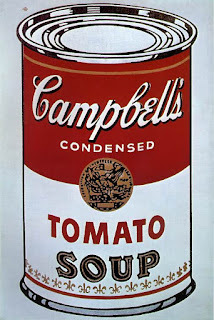 It is an artistic process that was used by famous artists such as Andy Warhol. Each print is unique and a true original. Not mass produced in a factory or made by an online company that out sources to a no name some where in the world.